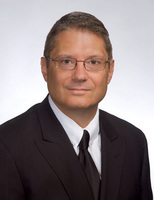 Scott Hippert serves as executive director of Family Connects International. He is a nationally recognized leader in the early childhood movement, having led several organizations and initiatives to advance the field. Following an early journalism career as a television news anchor and producer, Hippert has spent the last 25 years working to advance community, state, and national efforts to improve the well-being of young children and families. From a human services career that began as a vice president of Family and Children’s Service in Minneapolis, he also served as vice president and chief operating officer of Minnesota’s Ready 4 K public policy initiative. He was the founding president of the Virginia Early Childhood Foundation, president and CEO of Parents as Teachers National Center based in St. Louis, and CEO of Child 360 in Los Angeles. Hippert now serves as Executive Director of Family Connects International, an evidence-based, universal nurse home visiting model developed by Ken Dodge at the Duke Center for Child and Family Policy. Hippert received his BA in speech/radio-television from the University of Northern Iowa and a Masters in Divinity from the Saint Paul Seminary School of Divinity, University of St. Thomas in Saint Paul, Minnesota. He has served on numerous advisory boards, some of which include the Public Broadcasting Service Ready to Learn initiative, the national Early Care and Education Consortium, as a founding member of the National Home Visiting Models Alliance, the Community Advisory Board to the George Warren Brown School of Social Work at Washington University in St. Louis, and as a commissioner on the St. Louis Mayor’s Commission on Youth and Families. Hippert is energized by the potential of Family Connects to have national and international impact on the improvement of maternal and infant health and safety. He looks forward to engaging with the Duke community and becoming involved in civic affairs in Durham, in addition to his national commitments.